Clarkson, MI – Cedar Crest Early Childhood Center located in Clarkston has earned accreditation from the National Association for the Education of Young Children (NAEYC)—the world's largest organization working on behalf of young children. NAEYC Accreditation is a rigorous and transformative quality-improvement system that uses a set of 10 research-based standards to collaborate with early education programs to recognize and drive quality-improvement in high-quality early learning environments. 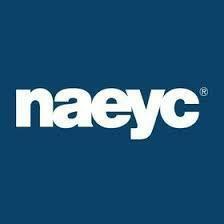 "It is an honor to receive accreditation from NAEYC," said Bette Moen, the founder of Cedar Crest Early Childhood Center. "This coveted recognition is an affirmation to our professional and dedicated staff, the individualized curriculum we offer, and a shared vision to serve, teach and nurture the intellectual and social development of children and families." To earn NAEYC Accreditation, Cedar Crest Early Childhood Center went through an extensive self-study and quality-improvement process, followed by an on-site visit by NAEYC Assessors to verify and ensure that the program met each of the ten program standards, and hundreds of corresponding individual criteria. NAEYC-accredited programs are always prepared for unannounced quality-assurance visits during their accreditation term, which lasts for five years.